As I'm certain is the case with literally thousands of others, Roland Reiss has been a seminal figure in my development as an artist. I say this not simply because he was my teacher but because we have continued a relationship for some 30 years since I studied with him at the Claremont Graduate University. From 1971 through 2001 he was the chair and the driving force behind Claremont's graduate art program. During his tenure there, he shaped it into one of the most successful programs in the Los Angeles area today and in 2009 Roland received the College Art Association's Distinguished Teaching of Art Award. What fascinates me most, however, is how our relationship has weaved in and out of my life and artistic practice. I suppose this bears out the adage that your teacher remains your teacher, long after class is over. I met Roland in 1978 in the woodworking shop at CGU (formally CGS, the Claremont Graduate School). He was working feverishly to complete a life-sized installation piece, The Castle of Perseverance, along side student helpers known as Rolaids. 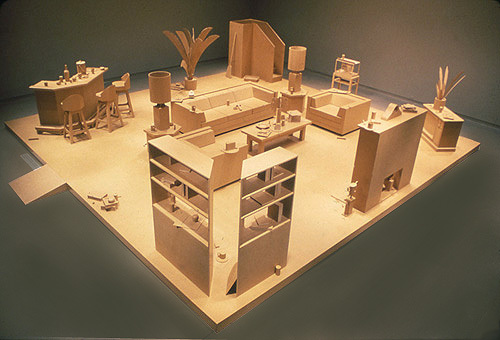 Conceived for an exhibition at the Newport Harbor Art Museum (now known as the Orange County Museum of Art) the piece seemed modest enough--except that every tiny detail was made of MDF (a type of particleboard). I knew from the beginning there was nothing ordinary about this work. Like any conventional living room, the piece included a couch. I remember sitting on the couch in 1978 and again just a few weeks ago at Objct Gallery in Claremont, California, where The Castle of Perseverance is currently on exhibit. This sitting-on-the-couch moment reminded me how Roland, the artist, the person and the teacher, continues to impact my life. After Roland left CGU he went on to found and direct Painting's Edge, an exceptional two-week residency program, hosted by the Idyllwild Arts Academy, in the mountain village of Idyllwild, California. The program existed from 2001 to 2008 and was designed specifically for painters. Participants applied and were accepted from all over the world. Renowned artists and critics were invited in from New York and Los Angeles to act as mentors and speakers, doing group and individual critiques in both formal and informal settings. One year, I had the great privilege of being invited to Painting's Edge as a renowned artist and was handsomely paid to do so. I loved my time and participation there so much that I returned every year thereafter, uncompensated, until the program's closing. It was an incredibly charged environment, an environment influenced in large part by Roland. 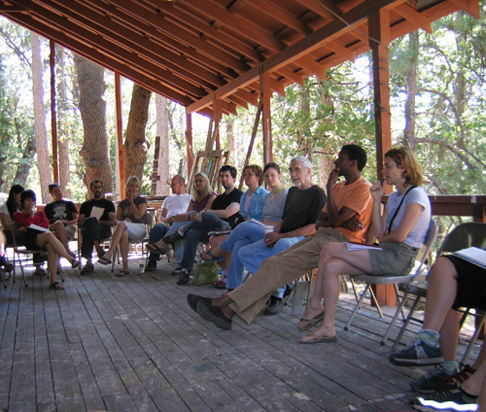 As is true I'm sure for many of the participants as well as myself, there were epiphanic experiences and insightful moments at Idyllwild that will stay with us forever. 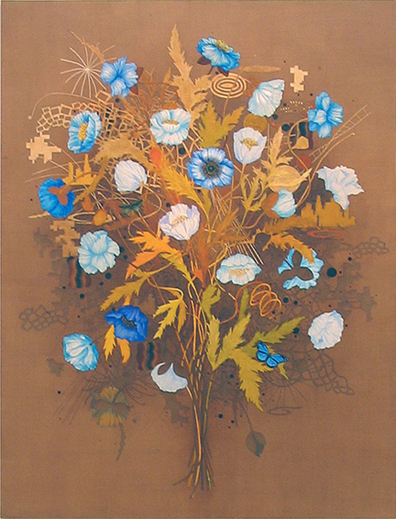 Though Roland has created sculptural and installation work, by 1991 he returned to his true passion, painting. A current exhibition, Set Theory : Roland Reiss, curated by Max Presneill at the Torrance Art Museum, celebrates Roland as a central nexus-point artist and includes artists, like myself, who have had "overlapping personal dialogues" with Roland. Roland maintains that "in the visual arts painting has a unique dialogue which should be celebrated" and I think this is where we found our deepest connection. He taught me that painting does have a unique dialogue, which is a different idea than other forms of visual art. In a way painting feels so solitary, so specific and so directly self-reflective. You are alone with it all the time--the it being none other than yourself. What could be more terrifying? And yet, for those of us that call ourselves painters, there is nothing more satisfying than the moments in which we are engaged in the activity of painting and things are going well.